Johnson, Ray. A Book About Death. 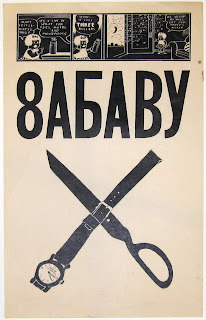 Page 3: 8AbABY, September 10, 1963. New York: Ray Johnson, 1963. Single leaf printed in black, lightly toned. Near fine. First edition. A page from Ray Johnson's legendary A Book about Death, which was issued in single pages over the course of three years, from 1963-1965, and (usually) mailed to a friend. 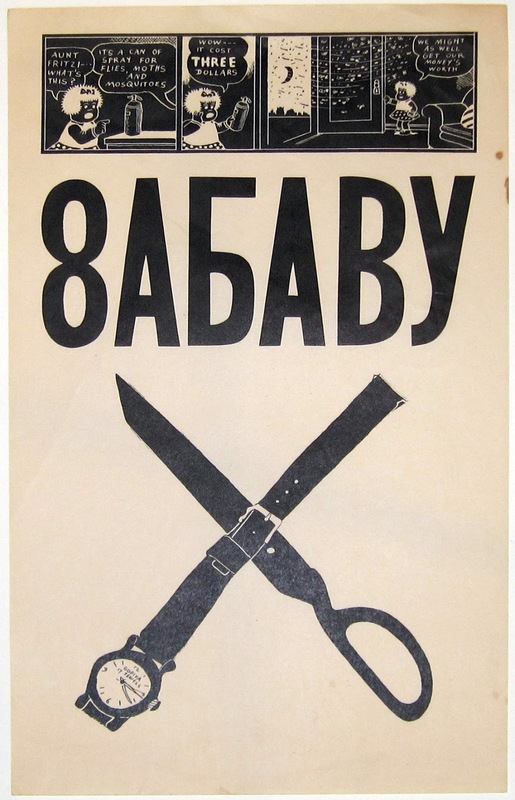 Page 3 depicts an unbuckled watchband placed across one shear of a pair of scissors, a negative rendering of a 'Nancy' comic strip, and the inscrutable text 8AbABY (apparently a complex wordplay based on the Ukrainian word for "dance," which frequently appeared on posters in the Lower East Side neighborhood where Johnson lived in 1963). Johnson, Ray. A Book About Death. 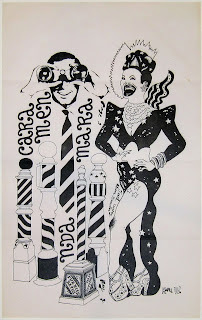 Page 9: "Cara Men Mara Nda," July 8 1964. New York: Ray Johnson, 1964. Single leaf printed in black, thrice folded. Fine.